No matter where or what season you hunt, the Trophy Grunter can bring in that BIG Buck for the perfect shot. Another great call with accurate sound! 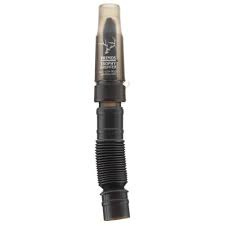 6-in-1 call has adjustable reeds to go from grunts to bleats. Expandable hose for various pitches.